Sat., Nov. 25, 2017, 8:33 p.m.
LAS CRUCES, N.M. – Idaho committed two turnovers in the first six minutes and New Mexico State cashed them in for 14 points, helping the Aggies to a 17-10 victory over the Vandals on Saturday at Aggie Memorial Stadium. The Vandals (3-8, 2-5 Sun Belt) limited the Aggies (5-6, 3-4 Sun Belt) to just a field goal the rest of the way but could not come all the way back in a 17-10 loss Saturday, at Aggie Memorial Stadium. True freshman quarterback Colton Richardson made his collegiate debut after starter Mason Petrino was forced to leave on the Idaho’s second offensive possession. Richardson’s first career completion went for six yards before being fumbled and setting up New Mexico State just outside the red zone. Five plays later the Aggies had their second touchdown and a 14-0 lead less than seven minutes into the game. Idaho’s defense and special teams kept the Vandals in the game, forcing two turnovers and blocking two field goals. With just over two minutes to go in the second quarter, Idaho’s Ed Hall tracked down a receiver and forced a fumble that Jalen Hoover grabbed out of the air near midfield. Richardson fired a 25-yard touchdown to David Ungerer along the left sideline to cap the first scoring drive of his career, going 44 yards in three plays and bringing the Vandals within seven at the break. Richardson, from Lewiston, finished 18 for 33 for 167 yards and the one touchdown. He was intercepted on the final play of the game with the Vandals needing to go 71 yards in six seconds. Richardson was also sacked 10 times as the Aggies tallied 11 sacks for the game. Tony Lashley led Idaho’s defensive effort with a career-high-tying 16 tackles. Lashley, a junior, leads the Vandals with 107 tackles, his second 100-tackle season. Armond Hawkins finished the day with eight tackles, an interception and a blocked kick. 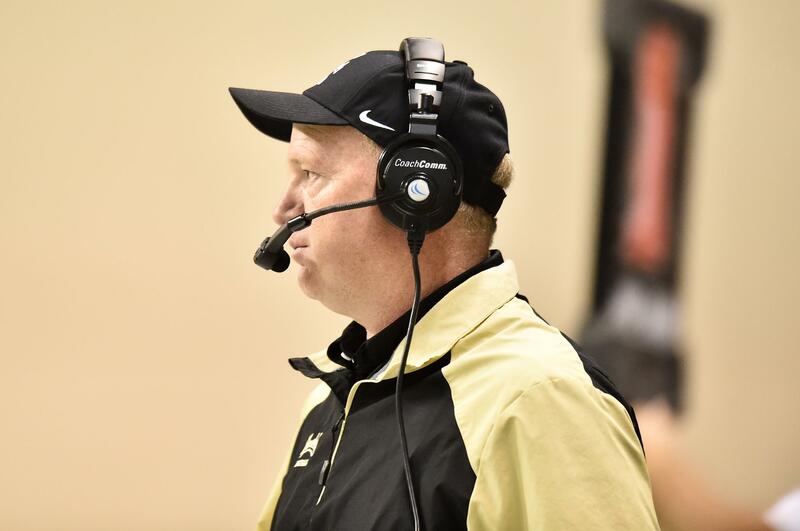 All seven of Idaho’s Sun Belt games have been decided by one possession and the Vandals’ five conference losses have come by a combined 24 points. Published: Nov. 25, 2017, 8:33 p.m.